Many times in one's life, they might wear a watch. This watch might be in your pocket, on your wrist, part of your phone or even some odd feeling you get when looking toward the sun. Either way, we find the time as it guides us through our day. I personally like to wear a wrist watch and recently found one that I really enjoy! 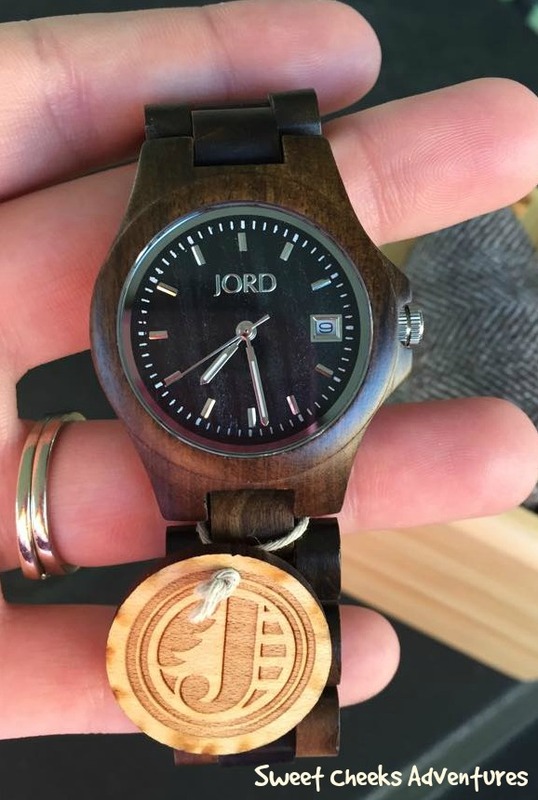 I have learned JORD Wood Watches are light weight. I have learned the wood is beautiful! 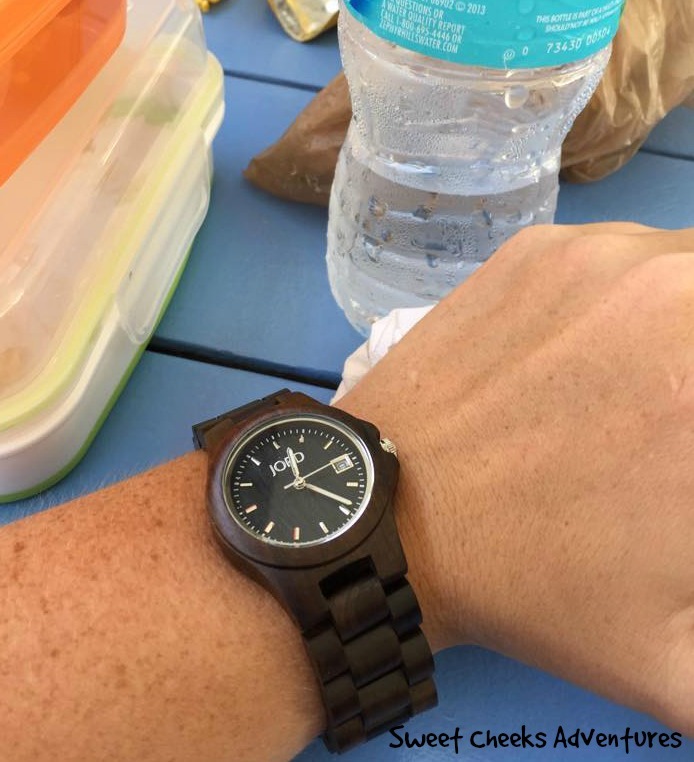 I also learned that this watch is great for just about any event in my life! I had no problem with the watch staying on my arm where I desire it to be. I sent in my measurements to make sure the watch came proper for my arm. The measuring process is easy to do yourself, so I recommend sending them in with your order. So now that you know about the JORD Wood Watch that I have been sporting, let's get on with a little story about a lady and her watch. Once there was a lady. Let's call her.... Ashlynn. Ashlynn is a busy mom. She works from home and volunteers in her town. While she is out, she likes to keep track of the time, so she wears a Ely Series JORD Wood Watch. She isn't using this watch for telling time only. No, she loves wearing it because it is unique. It is made from wood after all! 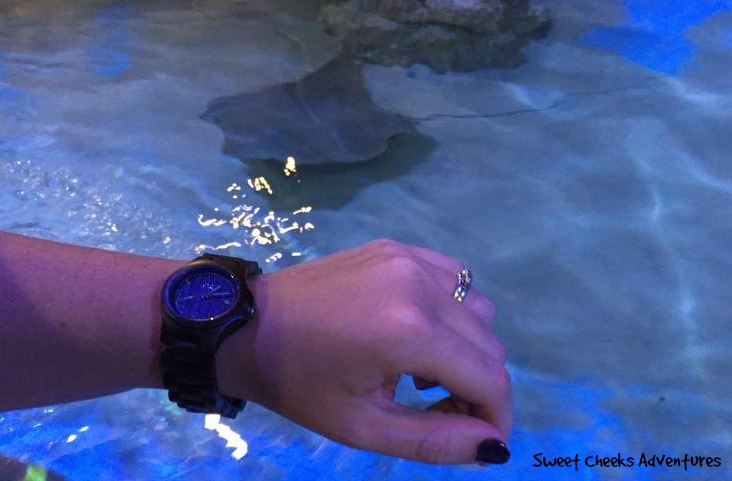 Ashlynn even wears her watch to pet the stingrays! You'll notice the watch is on her left hand, but she is right handed. No watches were harmed in the filming of this story. 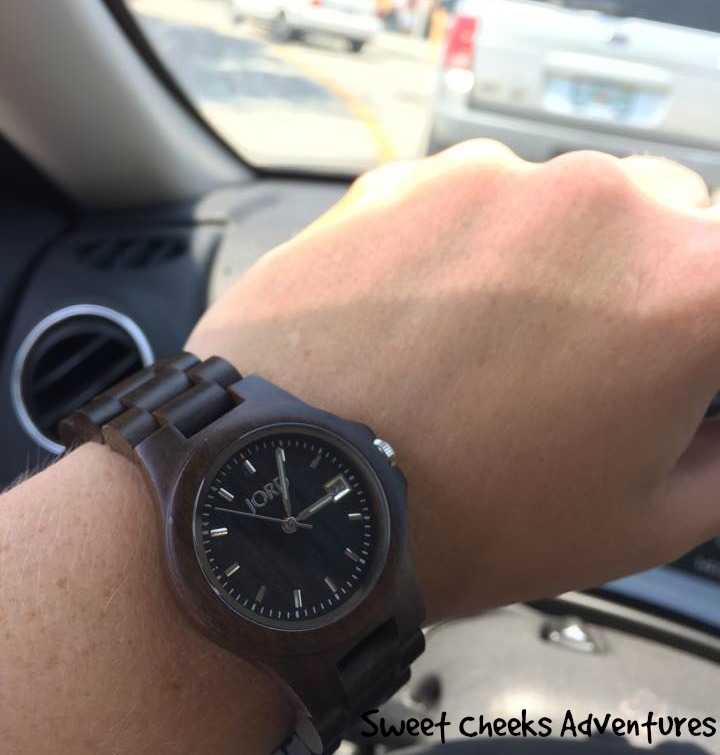 Finally to end the afternoon, Ashlynn wears her JORD Wood Watch to pick up her children from school. It is quite handy in he child pick up line to make sure she is not late! 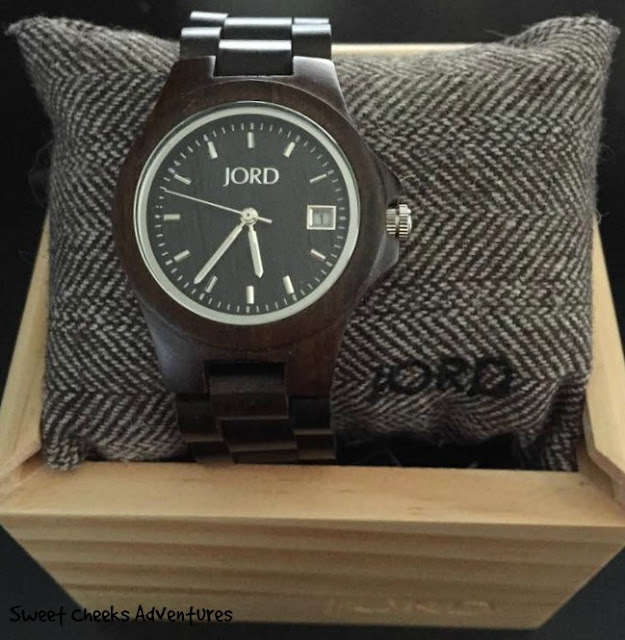 JORD Wood Watches are great for every day activities and special occassions. They make great gifts as you can choose which watch works best for you or the person you are gifting it to. Mens watches, Women's watches, Ashlynn loves her watch, so why not check them out and get one for yourself? I got a Jord watch to review about a year ago and my husband totally stole it. He loved it right away, took it and I never saw it again (unless it was on his wrist). 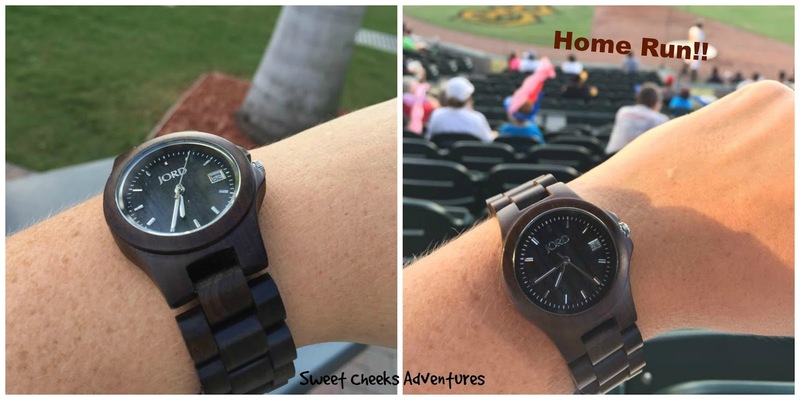 I really love these wooden watches because of their detail. I never imagined that a watch made of wood would be so elegant. I have a Jord watch and get so many compliments whenever I wear it. Such a great looking watch! This looks like a really nice watch. My husband has a watch collection. A Jord watch would make a nice addition. I love the natural look. They seem very nice. That looks amazing, the wood watch has a nice flair to it! I wouldn't mind getting one for myself. That is such a nice looking watch. I can totally see why they are so popular. I really, really love those watches. I think they are so distinguished looking and different. My husband loves watches so I need to get him one for his birthday. I'm seeing so many Jord watches lately. They're so pretty, and so stylish. I've never heard of this brand, or of wooden watches - but these are seriously stunning! My husband collects watches (without wearing them) but I bet even he'd wear this one! This watch looks so stylish. I have never tried wooden watches before. I've never heard of this brand either, and have also never seen wooden watches. I think this would be a good gift for my husband for father's day. This is such a unique watch. It would make a great gift for the watch lover in your life. This watch looks very stunning and stylish. This is the first time I have heard about this brand. I love the natural look and I like all these colors. This would be a perfect gift for my husband. Will have to check this out for him.